Are you feeling slightly unbalanced? Maybe work is taking its toll and you’re urging for tranquillity. Aromatherapy can be really beneficial for those who need to rebalance; this form of therapy has holistic benefits to help treat the mind, body and soul. With the help of using the Beurer LA 50 Aroma Diffuser, you can spread uplifting scents throughout your home to enhance your mood, well-being and eliminate unwanted smells. The Beurer LA 50 Aroma Diffuser works on a low 12 watt power, which not only makes it energy efficient, it also means it is super quiet - shhhh. If you struggle with falling to sleep, place a few drops of Lavender water-soluble oil into the diffuser when you go to bed; Lavender is extremely good to relieve anxiety- promoting calmness and relaxation. You also have the choice of using the ocean blue LED-illuminated light, which can really help in providing a soothing, calm atmosphere; use it as a night light and feel your worries fade away. The Beurer LA 50 will switch off automatically when the aromatic formula has been consumed so you can drift off to sleep in peace. The Beurer LA30 can bring harmony to any room as large as 15m², using water-soluble aromatic oils. What atmosphere would you like to create with the Beurer Aroma Diffuser? So, how about it? Change the atmosphere with a flick of a switch on the Beurer LA 50 Aroma Diffuser and rebalance your life naturally and in harmony with nature herself. Safe air diffusing of natural oils for natural fragrances in the home, quiet end efficient running. Low level humidification of air for a healthier home. 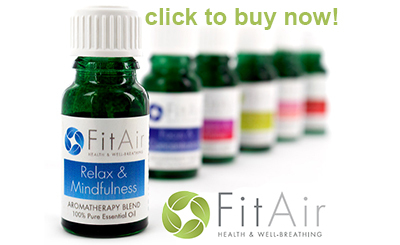 All essential oils, including FitAir Aromatherapy Oils specially formulated for use with aromisers, diffusers and ultra sonic aromisers.